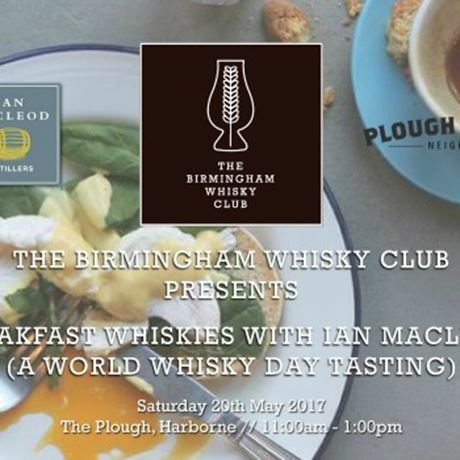 The Birmingham Whisky Club and Ian Macleod would like to invite you to to join them at The Plough on Saturday, 20 May for a special food and whisky matching masterclass, as part of the club's World Whisky Day 2017 celebrations. Learn about these delicious whiskies, enjoy a feast of different breakfast dishes and taste through a selection of delectable drams. Enjoy delicious food from The Plough, matched with four fine drams from Glengoyne, Tamdhu and Smokehead for this decadent feast to kick off World Whisky Day 2017 in Birmingham. 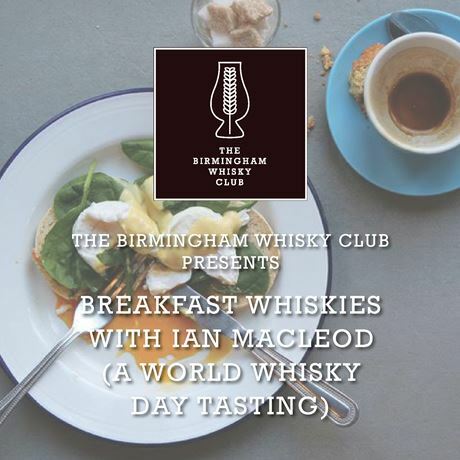 Tickets are just £30 (£25 for members of The Birmingham Whisky Club) to taste through five fantastic whiskies and enjoy four mini breakfast dishes. 11.15am-1pm – Enjoy an excellent three course breakfast (vegetarian options available) expertly matched with whiskies from the Glengoyne, Tamdhu and Smokehead range. As you're enjoying your meal, learn more about these whiskies and what makes the independent, family-owned company so passionate about the whisky it produces. 1pm – Although the meal is over, please feel free to stick around. Anything you were afraid to ask? Grab our resident expert and have all of your queries answered.